When it comes to attending spinning classes, nothing is as important as having the right shoes. You could try cycling on your running shoes but once you get a feel of spinning shoes or indoor cycling shoes, you’ll wonder how you ever managed without using them from the start. Running shoes are for running, while you’re spinning shoes are for indoor cycling. There are so many reasons why you need to get spinning shoes before attending your next cycling class. One of the reasons is the soles. Running shoes don’t have stiff soles which are required for cycling. This is required in order to power the pedalling. The stiffer the sole, the better it is and the more power you get to the pedal cranks. Stiffer soles also mean you will have more balance and feel more comfortable on the bike while sitting and standing out of the saddle. Spinning shoes make you look cool and they also keep your feet in position. PRO Tip: With the right spinning shoes, your foot will not move from position to position, it will stay firmly planted in place avoiding blisters so you can focus on the instructor’s instructions. There are simply too many benefits of using spinning shoes for your cycling class. When it comes to picking the right cycling shoes for women, there are four variables that are most important. These are the fastening system of the shoes, the sole, cleat style, and the fit. When it comes to the best cycling shoes for women, the closure systems are very important. It doesn’t matter if you are road cycling, on a mountain bike or taking indoor classes The system determines how easy it is for you to wear the shoes and adjust them during classes. Boa is known for offering the most precise fastening system. Ratchets are also good but the closure could be difficult to adjust when on the spinning bike. The soles of your spinning shoes are also important. Light soles tend to be stiffer and more desirable. The stiffer the sole, the easier it will be to pedal your bike during class. Carbon soles are a bit expensive while the cheaper option is plastic soles which don’t offer as much sturdiness on the bike as carbon soles. The design of your spinning shoes will determine the cleats that it would use for the different type of pedals. Some cycling shoes are designed to use three-bolt cleats (SPD cleats) while others are compatible with two-bolt cleats only. The difference is basically on whether or not your spinning shoes will be suitable for both indoor and outdoor cycling. Two bolt cleats are popular among touring cyclists. Recessed cleats let the cleat into the shoe a bit more thus making it a bit easier to walk in. Searching for the perfect shoes for your spinning needs? The Louis Garneau Women’s Multi-Air Flex Fitness/Mountain Cycling Shoe was created especially for this. It features a patented Multi Air Flex ventilated composite outsole which is quite rigid and sturdy enough for producing the needed pedalling efficiency and toe flexion needed for cycling and commuting. When you’re cycling, the HRS-80 retention system becomes a lifesaver. it keeps the heel firmly in place and eliminates all form of pressure so you can be comfortable enough to produce powerful pedal strokes. The Louis Garneau Women’s Multi-Air Flex Shoe are the perfect shoes for indoor cycling and they come in true-to-fit sizes which ensure you have a secure grip for spinning. If you have ever experienced having your feet slip out of the pedals, you will definitely understand the value of true-to-fit sizes. These set of shoes reduce the incidence of having your feet slip off the pedal while cycling. The Louis Garneau Multi Air Flex Women’s Spinning Shoes are quite popular with women globally and users have marvelled at the amount of flexibility and stiffness which is derived when wearing them. The combination of flexibility and a good amount of stiffness leads to better performance. The versatility is also a plus as they can be worn for commuting, running and even weekend excursions in the wild. Built with synthetic leather and mesh that provides a weightless feel. Wearing heavy shoes to a spinning class is a surefire way of getting frustrated before the class ends. You will find it hard not to wear these stunning shoes every time you want to workout. The Louis Garneau Women’s Multi-Air Flex Shoe upper mesh design comes with small holes which makes it breathable. These holes act as an exhaust that keeps your feet cooler while your workout. If you like plain classy shoes that get the job done without the bells and whistles, you will love these ensure. Great look and easy to put on. Water resistant with ventilated EVA insole for stability and better airflow. Sleek and comfortable, these are two words that describe the Giro Sante II Bike Shoe – Women’s White/Gloss White 39. 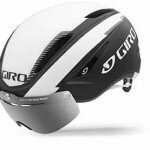 Designed with sleek lines that have become synonymous with Giro’s brand. These well-streamlined women’s spinning shoes have a synthetic upper with breathable mesh inserts for better airflow during a workout. This feature is especially useful during the summer where sweating will be almost second nature. When you workout for long hours, it’s normal to have a buildup of sweat in the feet which invariably turns into a nasty odour. With the Giro Sante II Bike Shoe, there is the Aegis antimicrobial footbed which combats the buildup of odour during long rides. Hook and loop velcro straps provide a secure shoe fit without causing discomfort on the pressure points on the pedal stroke. It doesn’t have a walking tread though, neither is it insulated. These shoes are not sold with clips for your preferred cleat system, you have to get them separately. If there is one problem that we noticed about the Giro Sante II Bike Shoe – Women’s Cycling Shoes for Spin Classes is their sizes. They are comfortable on the feet, very cute but they run small especially as regards their narrow fit. You have to order one size up to get a perfect fit. Has Aegis antimicrobial footbed for cutting down odour. Shoe size – they run small. When it comes to spinning shoes for high performance, the Pearl Izumi women’s Elite Road IV Shoes sits on top. The first thing you will notice when you get on your bike with these shoes is the unidirectional carbon sole which is quite stiff. This gives a sense of direct drive for the rider between shoe and pedal which enables you to efficiently transfer power. There is nothing as exciting as being able to do this easily. It uses the same material as other high range cycling shoes which is a turn away from the flexing of previous Pearl Izumi shoes. Weighing 580g a pair, these shoes are quite light and affordable. One interesting feature of this shoe is the concave shaping. The concave shaping gives a lower than average 7mm shoe stack height. This has been attributed to increasing marginal wattage according to current users. It has a Boa reel closure which is placed expertly at the tongue of the shoe giving the Pearl Izumi women’s Elite Road IV Shoes a low profile design while creating an even pressure distribution across the midfoot allowing a perfect micro-adjustment fit for riders. For your comfort and protection on the bike, there are two mesh vents under the toe box and another mesh vent behind the three bolt cleat fixing which is reinforced. In addition to the cleats, the heels are moulded and the sole is well protected by the toe bumpers. You might feel a bit rigid and in control when riding with this spinning shoes for women. This is due to the lightweight nature and the security of the Boa retention system. These attributes ensure the shoe is tightened evenly over the top of your foot so there are no pinch points or hotspots during use. There were some owners who complained about tightening the toe box Velcro closure at first but this softens after consecutive use over time. These shoes are slick and tick quite a lot of the necessary boxes needed for a high performing women’s spinning shoes. There is absolutely no reason why you shouldn’t try out the Pearl Izumi women’s Elite Road IV Shoes. They have an excellent power transfer and a low design that looks cool on your feet while you ride your bike. Not suited for riders with narrow feet. The Giro is incredibly attractive, designed to combine impressive looks with a low weight design and high level of stiffness for that ultimate shoe performance package. Most of the spinning shoes for women that have been reviewed here have featured shoes with Boa fastening, ratchet or Velcro. Giro takes a step further by creating a stand out performer with laces. Absolutely amazing when you think about it. are a recent addition to that category. Made from one-piece Evofibre uppers which result in clean looks and a lack of seams or stitching which brings more comfort and elegance to the design. For the laces, these are not the usual ones from off-the-shelf variety but rather Teijin microfibre laces that hold a knot better and is lighter and durable than standard laces use in sneakers. We do believe that since the design is quite simple and has little or no major makeover, the weight of the spinning shoes should at least be lesser than its current 394 kg. While this is not heavy for cycling shoes for women, but there are lighter options in the market. The shoes lean towards lower volume which is quite impressive for those who prefer roomier toe box area. The arch supports are quite optional but tailor-made for comfort and support. The Giro W Empire ACC spinning shoes for women are embedded with carbon fibre soles from Easton carbon ACC. This is done with a partnership with composites expert Easton and in theory, the carbon fibre soles make the shoes stiff and this is where the pedalling power comes from. But we also suspect, this might be where the bulk of the shoe weight is from as well. According to Giro, the spinning shoes come in smaller sizes with a narrower heel and less volume than its male counterpart. It also has a Supernatural Fit Kit with the adjustable arch support that helps the owner get a perfect fit. When you’re riding your bike, the upside with using the Giro W Empire ACC is that the laces give you a perfect fit. With its three arch support, it should feel like a custom made shoe once tightened up and ready for action. The problem with this is that there is no on-the-fly adjustment which you would have enjoyed with a Boa daily or a Velcro closure. When you’re out of the saddle or just upping the pace of your bike, the Giro W Empire ACC can provide incredible torsional and lateral stiffness that would definitely keep your foot in place. The media has always touted the idea that moving bike parts and laces are not suitable for each other but these shoes are definitely a testament to how wrong that statement is. Even Bradley Wiggins will disagree with that idea which means this shouldn’t be a huge concern. Just ensure you use the lace-securing tab before setting off to your cycling class. Then, as with most shoes that have been reviewed here, they do come up small and you have to go at least one size up to your normal size. For the pricing, while it does seem to be expensive, we believe it still sits at the lower end of high-end spinning shoes. Other shoes that performs as much as these will definitely cost you more so there is lots of value here. But, we believe whether the Giro W Empire ACC shoes are for you or not will come down to what you think about lace-ups compared to dials and the other closure types. We believe that the Giro W Empire ACC balance stiffness with comfort in a classic lace-up design and is definitely worth the hype. While it’s true that Fizik is still a new brand in the market, it’s quite well known for high-end shoes is designed with kangaroo leather and full carbon soles. The Fizik R5 Donna Road Shoes is a much more affordable option with nylon/carbon mix sole with lots of stiffness with a minimal flex. While this well-designed shoe is quite appealing, we love the fact that its nylon element is quite supple and just as soft as the high-quality leather at the mesh upper while the microtex allows the flow of air through the shoes by keeping it ventilated. This ensures your feet won’t feel overheated but it also means you might need to wear oversocks when your feet run cold. There are microtex lines all across the shoes which is quite sleek and shiny with its turquoise patent effect tongue. The shoe fastens well with two Velcro straps and a Boa IP1-A closure. The closure along with the toe and heel grips. The upper and tongue of these pair of shoes are perforated for airflow. The carbon fibre sole is designed to use a three-point road style cleats. The Fizik R5 Donna Road Shoes are high-quality shoes with a comfortable fit and excellent power transfer. Suitable for a wider foot. If you want to up your game when you next go spinning or ride any sort of speciality bikes then make sure to have the correct women’s footwear, listen to your cycling instructor and you will smash any previous times and your performance will go through the roof.